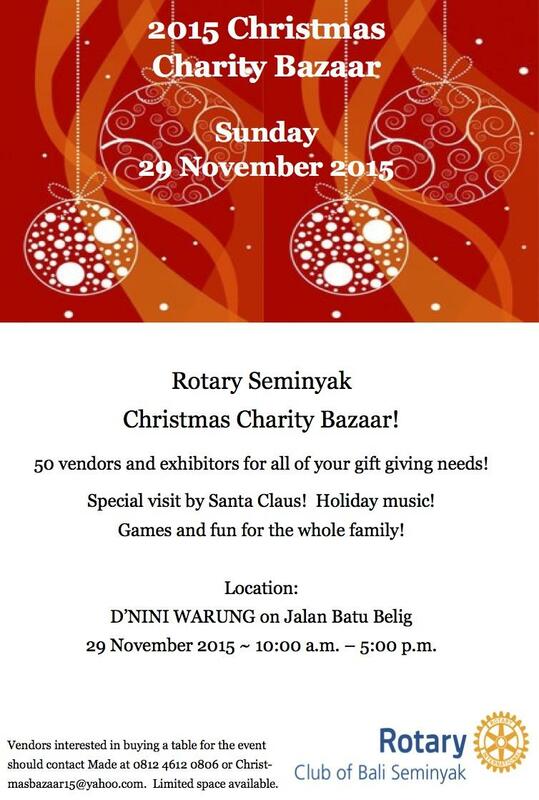 Throughout the year, the Rotary Club of Bali Seminyak holds fundraising events. 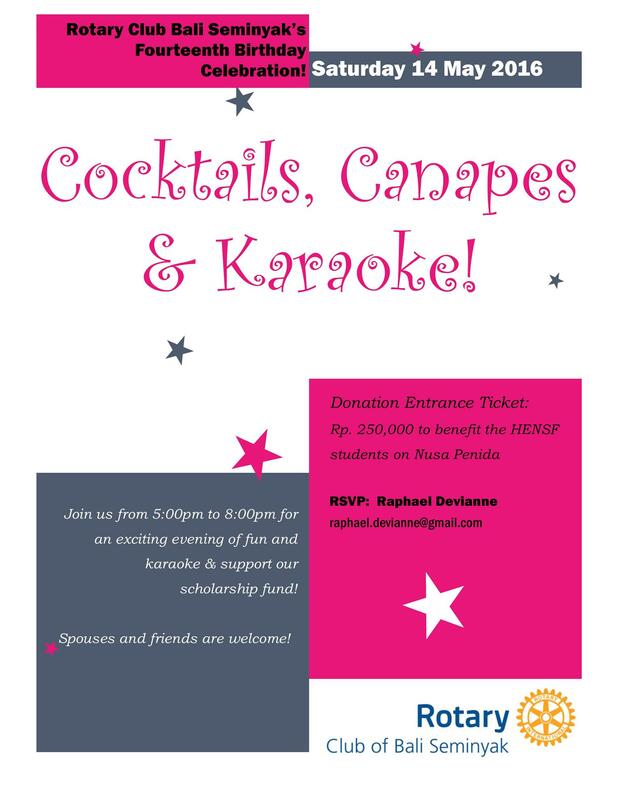 In keeping with the mission of Rotary, all proceeds are donated to many causes that benefit the community. 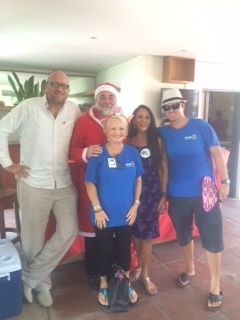 Additionally, Direct Donations, District Designated Funds and Global Grants further support our club's projects. Tampaksiring and finishes at the Bali Bird Park. 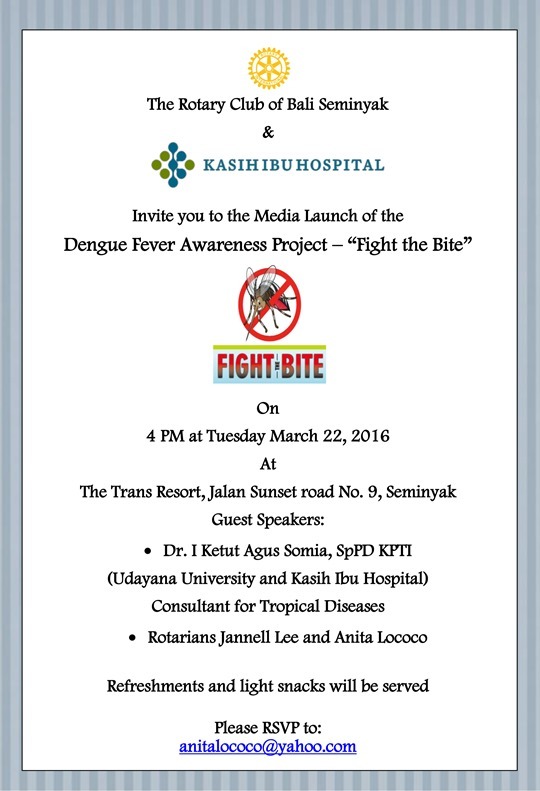 In 2014 there were over 8,000 documented cases of Dengue in Bali and in the first 4 months of 2015, over 4,000 reported cases with figures increasing at an alarming rate. RCBS has partnered with Kasih Ibu Hospital to launch awareness in the Community by giving out FREE information packets with a DVD.